In this beer blog, we are going to get into another brew from Perrin Brewery. It is their Black Ale. This beer was a Black Lager. They changed this beer to an ale to keep up with demand. If you read my earlier beer blog posts on their beers, you know the history of this Michigan craft brewery. If you have not, please, read them to get to know this Midwest craft brewery. Let us get into this black ale. It has a jet black color with a tan color head at first that disappears over time. The smell has a chocolate with coffee like notes. The taste of this light body ale has a chocolate to coffee like notes. It has a heavy malty notes but still light like a light Lager. The aftertaste has a nutty finish that hangs around. It is extremely drinkable beer. In this beer blog, we are going to get into the second brewery that I visited last weekend with friends. It is Fort Street Brewery. This brewery was started in 2005 in my hometown of Lincoln Park. I grew up there for 18 years. They offer a new Firkin every week. This brewery has been around for 10 years and Congrats to that. Let us get into the beer. They cover just about every beer style. I did not see a normal IPA or Double IPA. There was a session IPA and it was pretty good. The Lincoln Lager is gone and was replace with a good Cream Ale. There is a nice English Style ESB. This brew was my favorite. They also had a great Imperial Pilsner. Their White Ale was pretty average but I am not a wheat beer fan. I can see beer drinkers liking this brew. Black Hole was another great beer that I loved. They had a Root Beer on tap. It was pretty interesting. It came out as a golden ale and root beer notes were slight. It was not overpowering the brew. 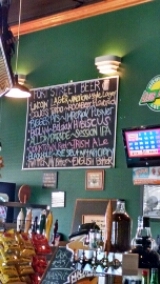 Overall, I will make the trip downriver to visit this brewpub again. I did not order any food but I did look through their menus. It did look good and prices were just right for anyone’s budge. My friend order some food and his food did look good. This is a great place also to watch some sports games. I would say this brewpub is the whole package. Great beer and food while watching some of the local sports teams on TV. 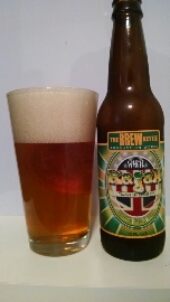 In this beer blog, we are going to get into a brew from The Brew Kettle Brewery. This is the first time that this craft brewery is being featured on this beer blog. The beer is White Rajak India Pale Ale. This Ohio base craft brewery was founded in 1995 under the name of Ringneck Brewing. They later changed their name to Brew Kettle. They have distribution throughout Ohio and Kentucky. Let us get into this IPA. It has a clear golden color with a white constant head. The smell has a heavy grapefruit notes. The taste has a heavy grapefruit notes with a dry bitter aftertaste. It is pretty drinkable beer. In this beer blog, we are going to get into a brew that I have been wanting to try in a long time. The brewery is The Alchemist and the beer is Heady Topper. Alchemist is from Vermont. It is a small brewery that focus on this brew. They do brew other beers. This brewery started in 2003. They opened a larger brewery in 2011. There is not much history on this brewery. This beer is hard to get and people go out of their way to get this brew. Let us get into this beer. It has a cloudy golden color with a white constant head. The carbonation is pretty alive. The aroma has a heavy earthly to floral like notes. The tastes of this full body double India Pale Ale has a slight citrus to piney like notes. The aftertaste has an orange to grapefruit like finish. It is extremely drinkable beer. Heady Topper is an American Double India Pale Ale. This beer is not intended to be the biggest or most bitter. It is meant to give you wave after wave hoppy goodness on your palate. Tremendous amounts of American hops will creep up on you, and leave you with a dense hoppy finish in you mouth. So drinkable. It’s scary. Sometimes I wish I could crawl right into the can. Freshness and control have always been my main concern when it comes to our beer. We are committed to providing you with an unfiltered and unpasteurized hop experience. The act of pouring it in a glass smells nice, but it releases the essential hop aromas that we have worked so hard to retain. If you MUST pour it into the glass, you mind find that some of the hop resins have settled to the bottom – leave them in the can when pouring. This beer is perishable, and at its best when it is young, fresh and hazy. Keep it cold, but not ice-cold. Drink this immediately, we are always making more. In this beer blog, we are going to get into our first beer from Flying Monkey Brewery. It is their Neither World Cascadian Dark Ale. I cannot find any history on this Canada craft brewery. I know this craft brewery is part of craft breweries that are back by Canadian Government. Let us get into this Black Ale. It has a jet black color with a health tan color head. The smell has a chocolate to citrus notes. The taste has a smooth to creamy chocolate notes with a hint of dry bitter aftertaste. The hops are not really in attendance. It is pretty drinkable beer. Heeding a chorus of voices crying for a dark roasty thing with lots of west coast hops and a higher ABV we summoned Netherworld from the chaotic flip side of the brew house where hybrid is the norm and nothing is ordinary. Hovering just this side of evil, in the right hands, our “Cascadian Dark Ale” is bizarrely nice with its own entrancing mojo. However, watch out for those who refuse to see the darkness. In this beer blog, we are going to get into another beer from Bell’s Brewery Planet Series. 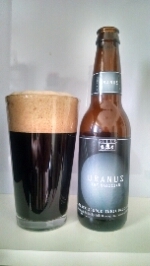 it is Uranus The Magician Black Double India Pale Ale. If you read my earlier beer blog posts on their beers, you know the history of this Midwest craft brewery. If you have not, please, read them to get to know this Michigan craft brewery. Let us get into this Black IPA. 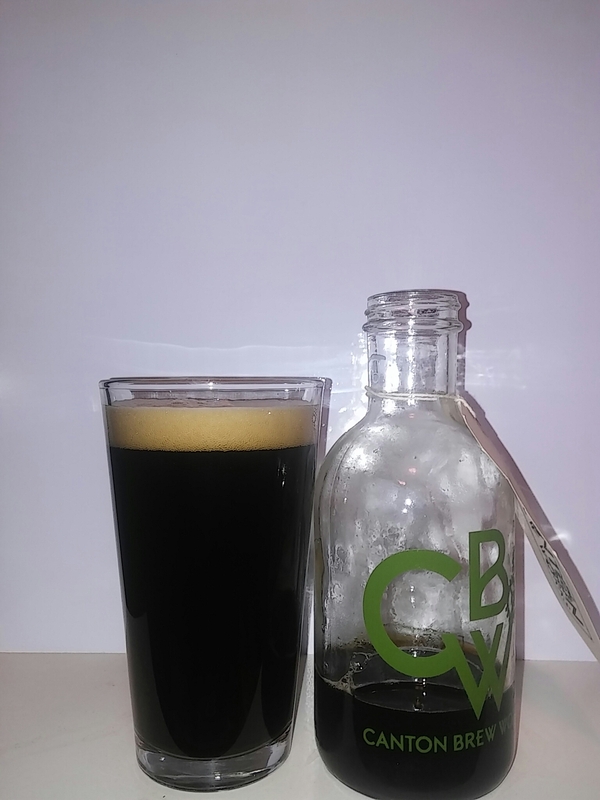 It has a jet black color with a constant tan color head on this Black IPA. The aroma has a chocolate to citrus notes. The taste of this medium body has a creamy chocolate with a touch of citrus notes. The aftertaste has a bitter with hints of chocolate and coffee notes. It is sipping beer. This is one of a seven part series inspired by Gustav Holst’s musical composition, “The Planets.” Strap in and embark on a flavor tour of our solar system – in the order of Holst’s piece, Mars to Neptune. 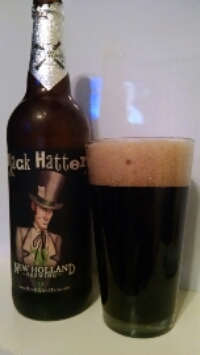 In this beer blog, we are going to sample another brew from New Holland Brewery. It is their Black Hatter Ale Black IPA. If you read my earlier beer blog posts on their beers, you know the history of this craft brewery. 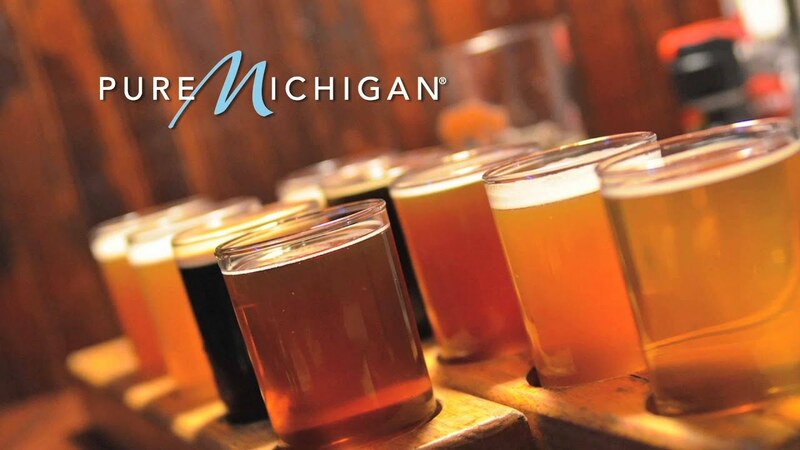 If you have not, please, read them to get to know this Michigan craft brewery. Let us get into this black ale. It has a jet black color with a tan color head. The aroma has a slight coffee to citrus notes. The taste has a roasted malty with coffee notes. There is a nice citrus with burn to hoppy bitter finish. This is a sipping beer. IPA brewed with black malts which add dark, roasted flavors. Dry-hopped. Centennial finish.